BubbleIQ allows you to seamlessly integrate Zendesk tickets with Slack to enable customer support and IT teams to supercharge everyday workflows between their two favorite tools. We help hundreds of innovative companies improve response times and collaboration including Adobe, SeatGeek, and Breather. Slack messages can be transformed into Zendesk tickets to manage and measure internal employee requests or private customer channels. Zendesk tickets can be sent into Slack channels to automate escalations and increase company-wide collaboration on support. Zendesk tickets are 2-way synced with a thread in Slack. 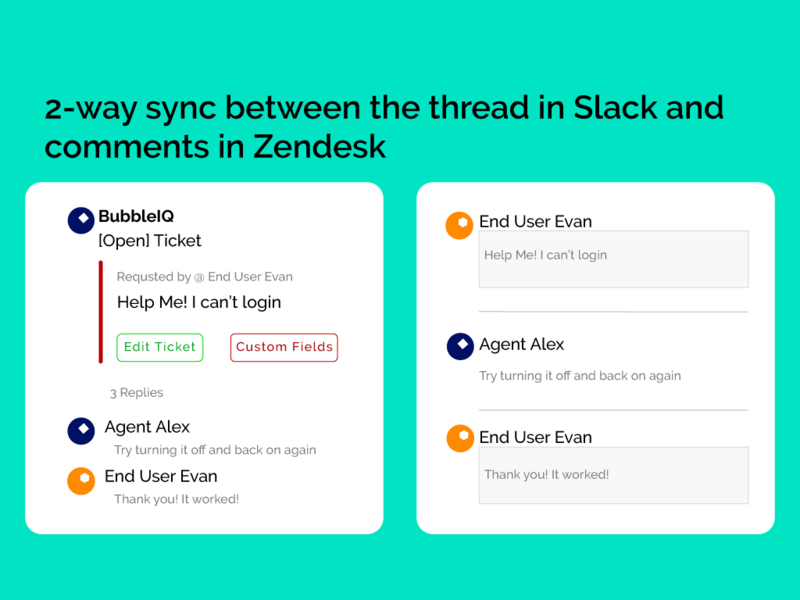 Messages in the thread automatically create responses to the Zendesk ticket, allowing coworkers or customers to respond in a familiar chat-based environment while keeping everything organized. 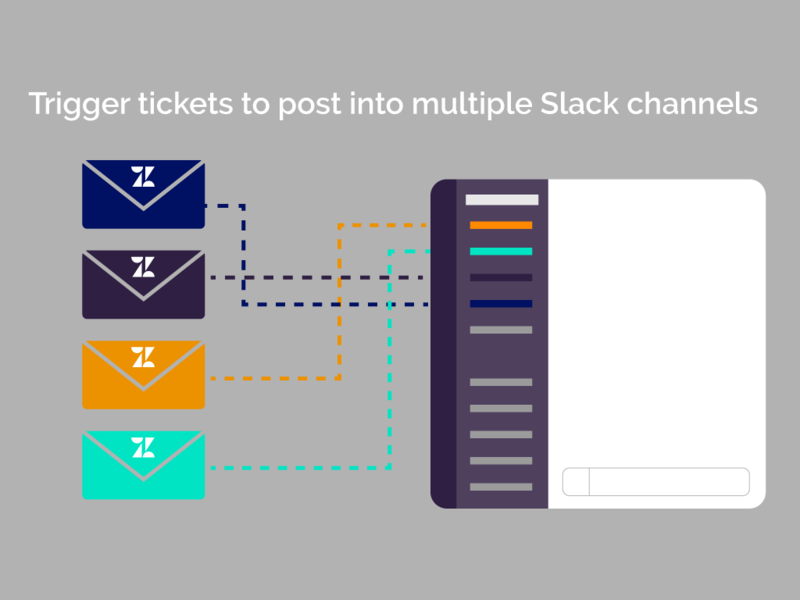 Turn direct messages in Slack into Zendesk tickets, or allow employees to create tickets using a slash command and ticket form for categorization. Responses and updates to the ticket from Zendesk post back to the employee via the thread in Slack. Employees can respond via Slack without switching context. Provide high touch customer support in Slack channels while ensuring everything is tracked via Zendesk. Customers' Slack messages can be easily turned into Zendesk tickets with an emoji or slash command. 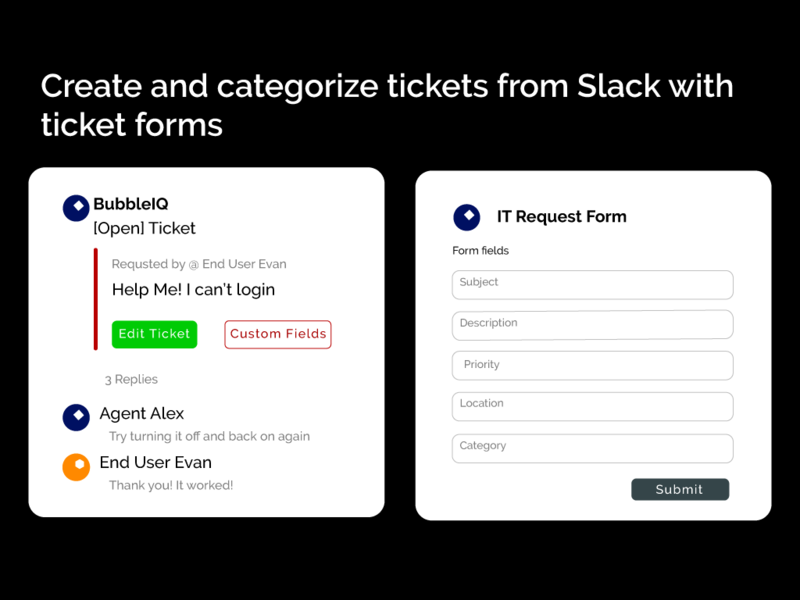 Customers will see responses to tickets from inside Slack, agents can edit and assignee tickets in Slack. Improve engagement and collaboration with other teams in your company to solve tickets faster. Map customizable Zendesk triggers to post tickets into Slack channels based on any criteria you choose. Coworkers that don't use Zendesk every day can quickly see an entire ticket's history and collaborate on a ticket from Slack. Follow the instructions from the BubbleIQ Slack Bot to add it to Slack channels and start syncing tickets! After your 14 day free trial, come back to BubbleIQ to purchase your subscription.